John Miller watched Friday night’s NCAA Tournament game between UCLA and Kentucky with a bit of bemusement. It was being speculated that Alford – the UCLA coach who was an Indiana schoolboy hero and then the high-scoring guard who led the Indiana Hoosiers to a national title in 1987 – would be the next IU coach following the firing of Tom Crean eight days earlier. The world knows that Archie Miller helped Darrin Horn recruit Courtney Lee to Western Kentucky University. That’s right. Miller was involved in securing an Indiana kid who scored as many points as any Hilltopper ever. But now that Miller has been named the next basketball coach at Indiana University, if you really want to know the kind of player that excites the competitor in Miller, you should know the story of another guy he tried to recruit to Bowling Green. This kid could defend as relentlessly as anybody on a high school court. He played with no fear. His name was Darrelle Revis. 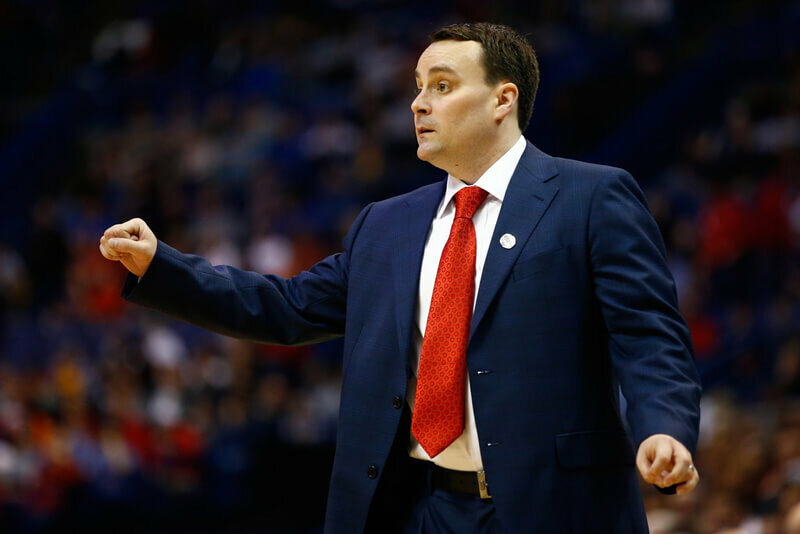 Growing up in Western Pennsylvania as the son of a legendary high school coach and the brother of a local college hoops hero, Archie Miller has prepared his entire life to become the head coach at a place such as Indiana. It may offend some of the most ardent Hoosiers that he didn’t prepare specifically for it to be Indiana, but he is too bright and too focused and too driven not to recognize the aspects of the position that make it extraordinary. That includes the exceptional talent base that had been relatively untapped in recent years, as such players as Glenn Robinson III (Michigan), Caleb Swanigan (Purdue), Zak Irvin (Michigan), Gary Harris (Michigan State) and Trevon Bluiett (Xavier) chose to sign elsewhere. You think I’m kidding here? I’m not. The only reason I’m not calling Archie Miller a home run hire is because that would insult the kind of tape-measure shot Fred Glass just launched. This home run is going to break windows all over the Big Ten. 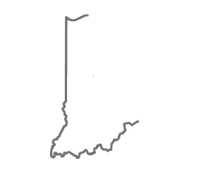 There were any number of great hires Indiana could have made, don’t get me wrong. Chris Holtmann would have been great. Chris Mack. Tony Bennett. Not sure Indiana went after any of those guys. Not sure it matters, not anymore, because those would have been great hires, home runs into the deepest part of the ballpark. But Archie Miller is a hire that lands somewhere in the third deck. Miller made it clear to the Durham family on Saturday that he wants the 6-foot-4 slasher to remain a Hoosier. That’s the flier Glass is taking, that Miller can prove to be the next big thing and help Indiana’s present — and future — catch up to its storied past. There were other candidates that might have been safer or sounded better publicly, but Miller has a high floor and a high ceiling that make him the best of both worlds. Big deal, however, does not necessarily equal big splash. The splash will come if and when Miller has Indiana back in a Final Four. PreKnight!!! Thank you for that. I am really, really sorry for commenting back to you the way I did on friday. The cynic in me says they heap on the praise now so they obtain a preferred insider status. It’s reasonable for everyone to need some time to get over the fact that “their guy” wasn’t chosen. It took my an hour or so. I’m all in now. Hope you are too. I’m in. I have to be at this point. Take care pc! Well, Alex tweeted earlier that everyone was at the press conference except for Collin. I agree. I think if Crean was still coach CH would stay unless they were over signed. RJ yes. CJ good chance. It’s all going to depend on how much respect They have for Miller. I think today is the day he is supposed to talk to the players, so it shouldn’t be long for the dominos to start falling. I may be selfish in saying this, cuz I like our guys, but I’d love to see what Miller can do with Crean’s kids….all of them. It is ,but IU looked a little too predictable when teams really got out and guarded them on the perimeter.It wasn’t just the half court offense itself ,but the responsiveness level and ability to adapt quickly when opponents clearly focus on taking something away.Even Crean’s best teams struggled with that too often.Most teams knew they weren’t going to beat IU with a run & gun style under Crean.Having read several of your posts in the past, I don’t expect you to concede the point you’re trying to uphold,but the videos of numerous games IU lost are easy to find on yt..They speak for themselves.We can agree to disagree if nothing else. You’re probably right re: JBJ and OG. Josh Newkirk played well at the end of the year and Curtis Jones is another player that will hopefully be back. Then there’s Justin Smith and possibly Clifton Moore and Al Durham. We could be good! ? I really hope RJ stays on. I guess I am safe also. I live in the Phoenix area. I am also interested in IU playing in Tucson. Archie also said he is called most often just “Arch”. Yes, I was wrong (quoted somebody else’s “fact” without checking). Archie also said during the interview that he answered mostly to “Arch”. I agree with an occasional uniform shakeup. Recruits like that sort of thing, for whatever reason. Once or twice a season is no big deal. In fairness to him he got historically awful draws in ’16 and ’17. I mean Syracuse went to the F4 and Witchita St. was NOT a 10 seed. Honestly they were more like a 4 or 5 seed. But I do understand that point. Problem I have with ArchMadness is that it’s already coined as the MVC tournament. I thought he was good. I liked some parts particularly well. I watched his interview with fisch, too. He seems like an offensive minded coach as well, I like that.